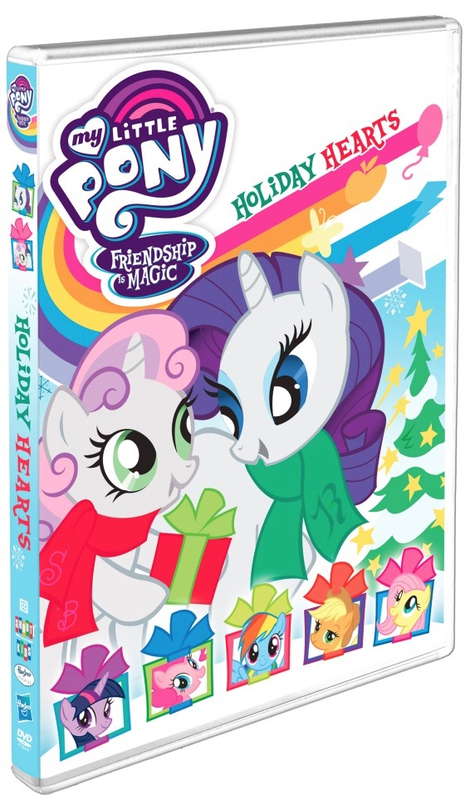 Disclosure: I was sent a copy of My Little Pony Friendship is Magic Holiday Hearts for review purposes. No other compensation was received. Consider this your two month warning: it is exactly that long until Christmas Day. I know. Despite it’s incredible predictability, it somehow manages to sneak up on me every year. Every year will be different – I swear. But let’s not hold our breath. The Festive Holidays are coming to Equestria, too. With the arrival of snow comes a whole new crop of adventures. Holiday Hearts is available for purchase now, either online or at your favourite movie retailer. I, however, have a copy available for giveaway. Enter by using the Rafflecopter form below. Odds of winning will depend on the number of eligible entries received. Not responsible for lost or misdirected entries. Open to residents of Canada and the US. Approximate retail value is $15. Giveaway ends November 8, 2017 11:59 pm ET. Good luck! 28 Responses to "MLP Holiday Hearts DVD Giveaway"
I like Apple Jack and my daughter says her favourite is Rarity. Twilight Sparkle has always been a favourite! Rainbow Dash in our house! I have to love Rainbow Dash. Rainbow! I like pinkie pie which i am quite surprised because shes very vibrant and very loud. She loves Rarity and Applejack equally well. Pinkie Pie is my favourite My Little Pony because she is pink. Fav is Twilight Sparkle in which is played by Tara Strong who is an Canadian. Rainbow Dash has always been my daughter's favourite. Twighlight Sparkle is my granddaughters favorite. My favorite pony is Doctor Whooves.